Children with autism spectrum disorder (ASD) are often described as “uncoordinated” or “clumsy” and many have clear motor control impairments. Early intervention to address motor deficits may improve physical skills and the difficulties with social functioning that are the hallmark of the disorder. 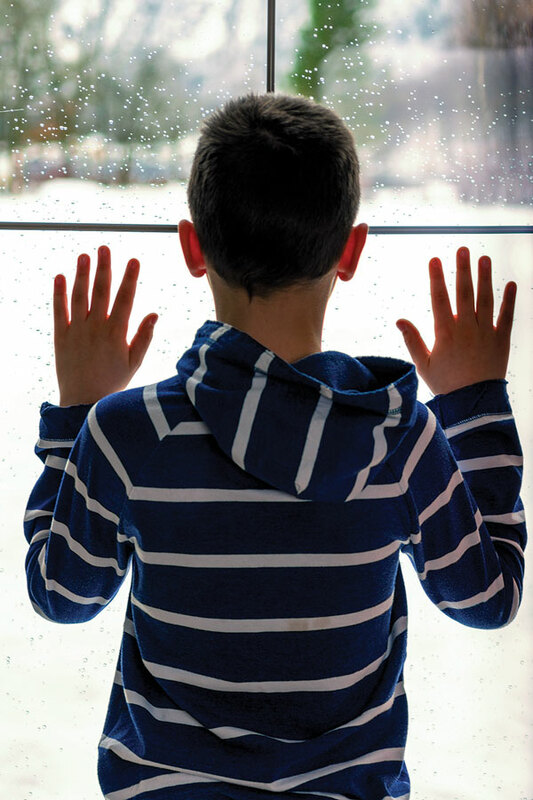 Compared with healthy controls, children with ASD have higher rates of motor skill impairments, including deficits in coordination during gross and fine motor activities, balance skills, gait patterns, postural stability, joint flexibility, and movement speed.4-9 Despite the frequency of these issues—two investigations, for example, have reported prevalence rates of poor motor skills in children with ASD of 59%6 and 79%7—motor impairments are not part of the disorder’s diagnostic criteria. Nicole Rinehart, PhD, professor of psychology and director of the Deakin Child Study Centre at Deakin University, in Burwood, Victoria, Canada, has for the last few decades worked clinically with children with neurodevelopmental disorders. It is now understood that motor skills issues in children with ASD are not an isolated problem, Rinehart said, noting they can affect many areas of functioning and impact everyday life. “Primary school-aged children with ASD may experience significant difficulties planning, monitoring, regulating, and controlling movement,” she said. Because pronounced motor impairments are widespread in individuals with ASD, she added, they should be considered a core symptom and a target for early diagnosis and treatment. Some experts believe that deficits in motor skills may play a role in some of the challenges with social skills in children with ASD. “With poor postural control and motor skills, it can be difficult to develop visual attention and spatial awareness, as well as confidence in social settings,” explains Megan Smith, CO, director of clinical research and orthotist for Surestep in South Bend, Indiana. Jamie M. Holloway, PT, DPT, led a study1 earlier this year examining the relationship between gross motor skills and social function in young boys with ASD. She is assistant professor in the School of Physical Therapy and Rehabilitation Sciences at the University of South Florida’s Health Morsani College of Medicine in Tampa, and has served on interdisciplinary evaluation teams in autism diagnostic clinics at the Georgetown University Center for Child and Human Development in Washington, DC, and the University of Alabama at Birmingham Sparks Clinics. In the study,1 Holloway and her colleagues assessed motor skills and social function with validated tools in 21 children (all boys) with ASD. They found moderately high correlations between overall gross motor and social skills and between the core stability motor subtest and overall social skills. These findings, as well as previous studies,2 suggest that young boys with ASD and poor motor skills also have low socialization skills. In another study,14 Holloway found that tasks related to ball skills (throwing, catching, kicking) and stationary skills such as standing on one foot were moderately correlated with overall social skills. SMOs with an open-heel modi cation have produced improvements in both gait and perceived coordination in patients with ASD. Photo courtesy of Surestep. Leg-length discrepancy, which she said is the result of both toe walking and standing on one leg, is another issue Zwick encounters in this population. 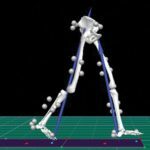 “The leg that is bearing the weight becomes short and individuals walk with asymmetry in stride length and width as a result. They often pronate severely on the contralateral leg in an attempt to stay balanced. Standing on the short leg is seen in most cases. The longer leg is flexed at the hip and knee and pronates at the foot and ankle,” she said. The noted “odd gait” of ASD may be the result of leg-length discrepancy and as-yet unexplained sensory issues, she said. “I use the term movement disorder or dystonia to describe this awkward gait,” Zwick said. A variety of gait analysis strategies have been used in the ASD field, ranging from expert observational studies that typically involve neurological or other motor specialists to retrospective video analysis involving researchers obtaining video footage of infants and toddlers, who were later clinically diagnosed with ASD, to instrumented gait analysis and motion capture technology, which are considered the most reliable and valid assessment techniques. Interventions for gait, Holloway said, depend on the specific impairments observed. They may include orthoses, though some children with ASD may have sensory issues that make wearing devices difficult. 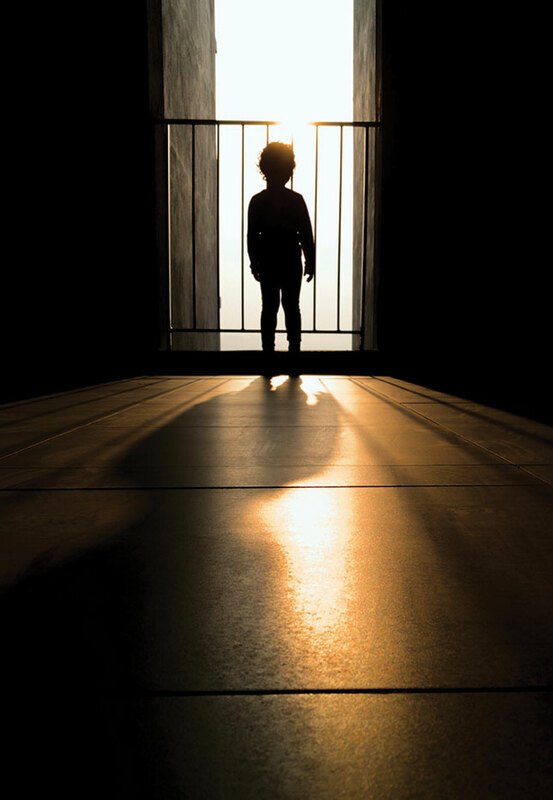 “I think an important factor to consider is whether the gait disturbance is interfering with the child’s function and if so, how can we minimize the interference to maximize function,” she said. Megan Smith has a decade’s worth of experience evaluating and fitting ASD patients with orthoses, as well as analyzing their gait with portable gait analysis systems. Moreover, she believes clinicians should also think about allowing a child’s toes to be free. By providing a better base of support, clinicians can allow a patient to work on lateral weight shifts and postural control, which can help improve strength in the extensors and lateral stabilizers. Australian podiatrist David Wong often uses a exible, dynamic orthosis that increases proprioception to treat gait abnormalities in children with ASD. Photos courtesy of David Wong, DipPod(NSW), MAPodA. 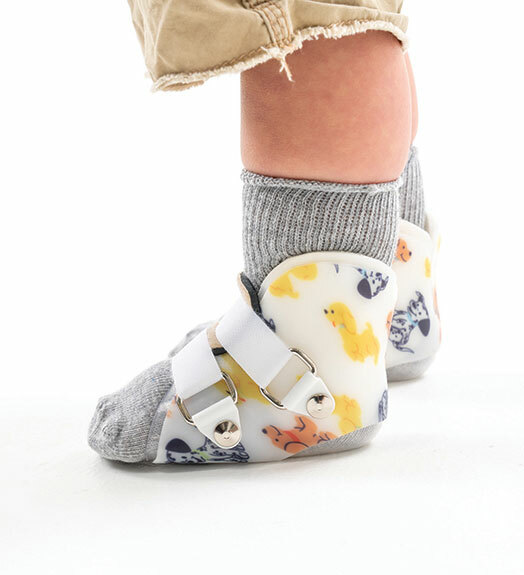 At Surestep’s clinic, Smith and other clinicians provide supramalleolar orthoses (SMOs) with the open-heel modification and have seen improvements in both gait and perceived coordination in many of their patients with ASD. Smith noted she has also seen improved gait symmetry in children with ASD who have been fit with the devices. For the issue of toe walking in young children with ASD, Zwick collaborates with the treating physical therapist and uses different types of orthoses, from very rigid (no joint at the ankle region) to more flexible, dynamic devices. Debbie Evans, senior pediatric physiotherapist and director of Therapies for Kids, Annandale, Australia, noted children with ASD who walk on their toes due to whatever motor issues they have will experience a number of problems. “Once they are up, they start to get tightness, they start to have their weight further forward and their center of gravity is not towards the heels, it is coming forward, which makes them fall over and throws off their balance,” she said. Evans refers children with these issues to David Wong, DipPod(NSW), MAPodA, director of podiatry at Strathfield Podiatry in New South Wales, Australia, who makes sensorimotor orthoses. Impaired motor skills in kids with ASD can decrease their participation in physical activities and sport and increase their risk of sedentary-related diseases, according to Rinehart. 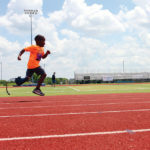 Organized physical activity programs may improve development in children with disabilities, and hold great promise, she said. Such activities provide an array of opportunities to enhance the motor skills of children with disabilities in a natural setting. Novel interventions have consistently been found to be effective at addressing and improving motor deficits, such as horseback riding, outdoor adventure camp programs, adapted football programs, multisport camps, and kata (a martial art) technique training programs. 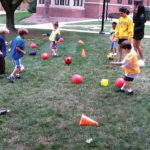 Rinehart pointed to clinicians who adapted an Australian Football program for children with ASD.18 The children were taught football skills in groups, and parental involvement was encouraged. The development and delivery of the program involved a multidisciplinary approach, combining the knowledge of both coaches and clinical staff. Children showed a significant improvement in object control skills, but no changes in motor skills. This adapted program provided an accessible opportunity for families to engage in this cultural and sporting norm, said Rinehart. “While there are barriers to team sport participation for children with ASD, the program enabled the children to overcome these and experience developmental gains,” she said. Keith Loria is a freelance writer in northern Virginia. Holloway J. Long, T. Biasini F. Relationships between gross motor skills and social function in young boys with autism spectrum disorder. Pediatr Phys Ther 2018;30(3):184-190. Pusponegoro HD, Efar P, Soedjatmiko, et al. Gross motor profile and its association with socialization skills in children with autism spectrum disorders. Pediatr Neonatol 2016;57(6):501–507. AM Dowd. NJ Rinehart. J McGinley. Motor function in children with autism: Why is this relevant to psychologists? Clin Psychol 2010;14(3):90-96. Abu-Dahab SM, Skidmore ER, Holm MB, et al. Motor and tactile-perceptual skill differences between individuals with high-functioning autism and typically developing individuals ages 5-21. J Autism Dev Disord2013;43(10):2241-2248. Gowen E. Imitation in autism: why action kinematics matter.Front Integr Neurosci2012;6:117. Siaperas P, Ring HA, McAllister CJ, et al. Atypical movement performance and sensory integration in Asperger’s syndrome. J Autism Dev Disord2012;42(5):718-725. Dewey D, Cantell M, Crawford SG. Motor and gestural performance in children with autism spectrum disorders, developmental coordination disorder, and/or attention deficit hyperactivity disorder.J Int Neuropsychol Soc2007;13(2):246-256. Green D, Charman P, Pickles A, et al. Impairment in movement skills of children with autistic spectrum disorders.Dev Med Child Neurol2009;51(4):311-316. Mache MA, Todd TA. Gross motor skills are related to postural stability and age in children with autism spectrum disorder. Res Autism Spectrum Disord 2016;23:179-187. Rinehart, Tonge BJ, Iansek R, et al. Gait function in newly diagnosed children with autism: cerebellar and basal ganglia related motor disorder. Dev Med Child Neurol 2006;48(10):819-824. Hallett M, Lebiedowska MK, Thomas SL, et al. Locomotion of autistic adults. Arch Neurol 1993;50(12):1304-1308. Nickel LR, Thatcher AR, Keller F, et al. Posture development in infants at heightened vs. low risk for autism spectrum disorders. Infancy 2013;18(5):639-661. Wilson RB. Enticott P. Rinehart NJ. Motor development and delay: Advances in assessment of motor skills in autism spectrum disorders. Curr Opin Neurol 2018;31(2):134-139. 14. Holloway JM, Long T, Biasini F. Concurrent validity of two standardized measures of gross motor function in young children with autism spectrum disorder. Phys Occup Ther Pediatr 2018;2:1-11. Kokštejn J, Musálek M, Tufano JJ. Construct validity of the movement assessment battery for children-second edition test in preschool children with respect to age and gender. Front Pediatr 2018;6:12. Cools W, de Martelaer K, Samaey C, Andries C. Movement skill assessment of typically developing preschool children: a review of seven movement skill assessment tools. J Sports Sci Med 2009;8(2):154-168. May T, Rinehart N, Barnett L, et al. ‘We’re doing AFL Auskick as well’: Experiences of an adapted football program for children with autism. J Motor Learning Dev 2018;6(1):130-146.